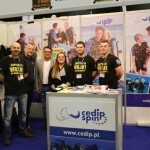 As every year, CEDIP / SPIN was present at the Warsaw Diving Fair "Underwater Adventure" held on 03-05.03.2017. 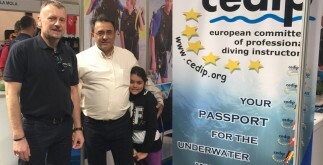 Our booth centrally located in the exhibition hall was frequently visited by instructors and fans of diving. 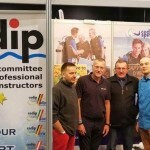 Professional staff tirelessly gave information about the education of diving as well as the many activities offered by the diving schools affiliated to the CEDIP / SPIN. 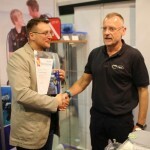 On the second day of the fair was held presentations of Awards for most active instructors and trainers. 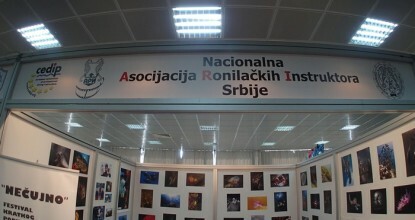 There is something to be proud of. 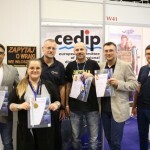 At the photographs we can see commemorative moment of presentations of awards by President Marcin Golda to winners of CEDIP / SPIN Medals. 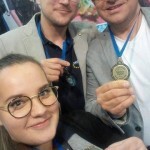 Golden Medals: Mariusz Fafara, Mariusz Wydro, Bronze Medals: Kaja Ojanowaj-and Fafara, Arnold Stempak. 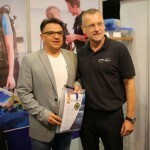 Congratulations for awarded instructors for their professionalism and effort. 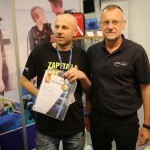 We thank all you for all your contribution to the development and popularization of scuba diving. 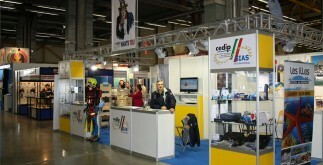 Thank you for visiting our stand and for many kind words. 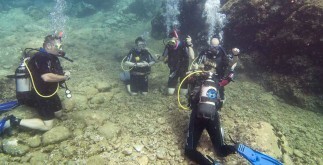 Welcome to contact and to common dives.